What can this software recover? 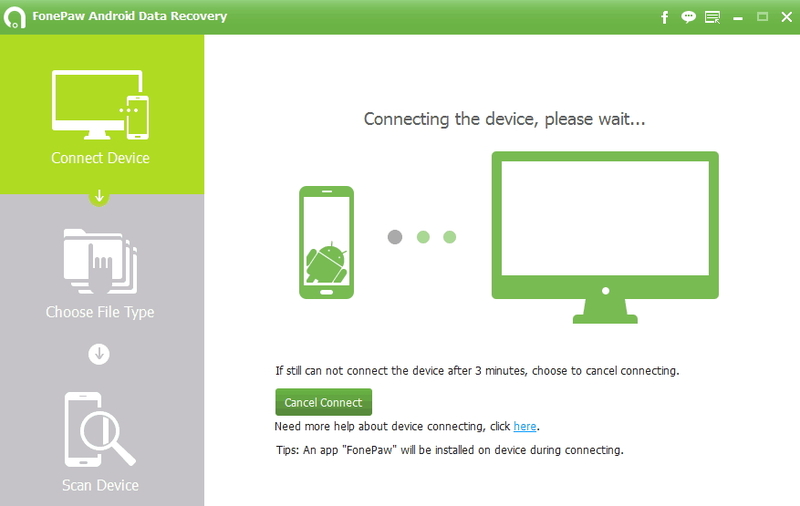 FonePaw Android Data Recovery is a full-fledged solution which can be used to recover various sorts of data from Android devices. The app is so intelligent that it can recover all sorts of things such as audios, videos, call logs, photos, text messages and so on. Due to its flexibility, this tool is quite an intuitive one. But one should note that this software can be used to recover data from a wide range of popular smartphone(due to its compatibility). The tool claims to support Android tablets and smartphones from all popular smartphone manufacturers such as Google, Huawei, HTC, Sony, Samsung, Motorola, Acer and many more Android device brands are being added to this list each day. The minimum set of requirements that you need in order to run this software is so low that this software can be executed on low-end Windows PC as well. It supports both 32bit and 64bitWindows versions and even Windows XP. I’ve already mentioned above how this app supports tons of devices, you are likely to find your device listed on its list as well. 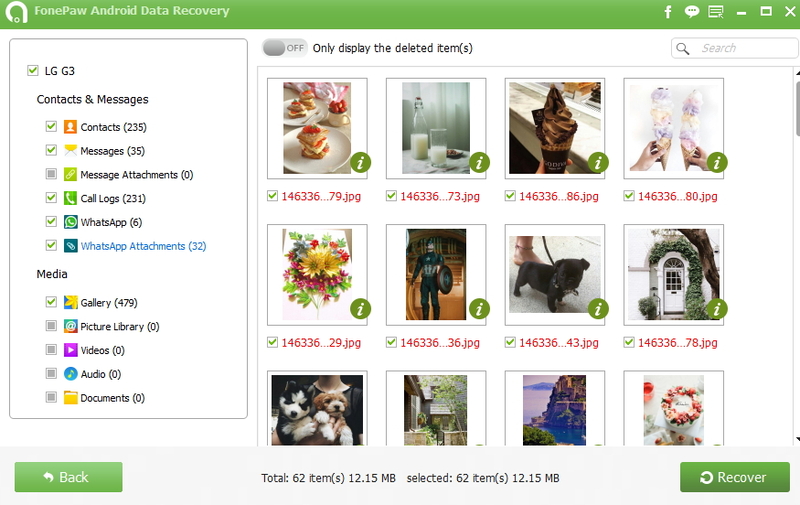 Also, you can recover all sorts of picture file formats such as .jpg, .gif, .webp, .png and much more. The developers are also working on the Mac version. One of the main reasons why I love using this tool is due to its minimalistic interface and mode of working. The whole thing has been made so simple that even if anyone has no prior experience in data recovery can use and recover data through this software. The whole recovery process takes no more than 4 steps. #1. Enable “USB Debugging” on your device and connect it to your PC through USB cable. #2. Once your device is connected, you can make a selection of which files you want to be recovered. There is a proper scan feature through which you can scan for files that can be recovered. #3. Due to the scanning feature, you don’t need to recover all the files.You can just pick some specific files and recover them individually. #4. 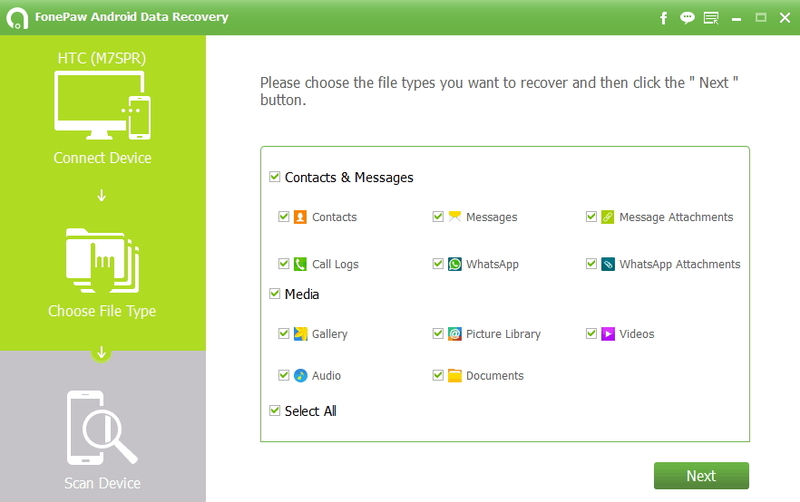 Once you are done in selecting files, you can click on the Recover button and recover lost files on Android. To add on to this, the software also lets you preview the files so that you can look through the contacts, text messages, call logs, WhatsApp messages, photos, audios, videos, and documents before recovering them. To break it down in simple words, the user interface is awesome and its operating process is so simple that even a first timer won’t have any problem. Call logs: It includes everything right from the name, call type, its duration, numbers and every other detail. Contacts: It doesn’t matter whether you saved the contacts on Sim card or internal memory – this software can recover it. The software is also capable of recovering name, phone number (of course) , email addresses and some other details. WhatsApp attachments & messages – Even if you don’t backup your WhatsApp messages and chats, they can be recovered! Text messages – All sorts of text messages and also MMS can be restored along with their attachments using this software. Images – The images that you saved from the internet or clicked by yourself can be recovered. Pictures of various format such as .webp, .gif, .png, and .jpg can be recovered. Video & Audio files – It doesn’t matter whether they were recorded or downloaded from the Internet, this software can recover all of them. Precious documents – You can also use this software to recover documents such as .ppt, .pdf, .excel, and .doc files. This software overall is good, works fine without any glitches and is very easy to operate. The best part about this software is its minimal interface and how easy is to operate it.